고종 27년(1890)에 지은 르네상스풍의 2층 벽돌 건물이다. 한국전쟁으로 건물이 심하게 파괴되어 탑과 지하2층만이 남아있었으나, 1973년에 복구되었다. 한쪽에 탑을 세웠으며, 정문은 개선문 양식이다. 일본군에 의한 명성황후 시해사건 이후 1896년 2월부터 1897년 2월까지 고종이 세자와 함께 피신하여 있던 곳이다. 이 기간동안 친일파인 김홍집 내각이 무너지고 친러시아적인 박정양 내각이 조직되었으며, 서재필이 주도하는 독립협회가 결성되었다. 고종이 거쳐했던 방의 내부는 건물과 같은 르네상스풍의 실내장식을 했다. This is a two-story brick structure in the Renaissance style. It was built in the 27th year of King Gojong’s reign (1890). The building suffered severe damage during the Korean War. After the war only the tower and the 2nd underground floor remained. It was reconstructed in 1973. 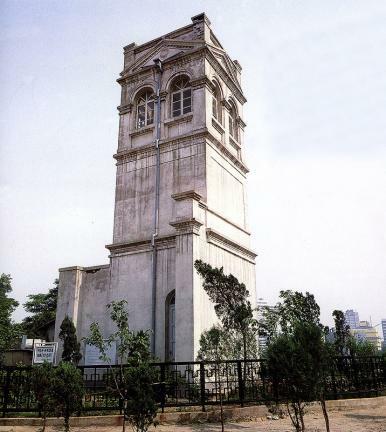 There is a tower to one side and the front entrance is made to resemble a triumphal arch. This Russian Legation is where Emperor Gojong took refuge with the crown prince after the assassination of Queen Myeongseong by Japanese assassins, from February 1896 to the following February 1897. During this period, the administration of Kim Hong-jip, which was pro-Japanese, dissolved away and a new administration with a pro-Russian tendency, headed by Park Jeong-yang, was organized. The Independence Club was also organized at this period. The inside of the room where King Gojong stayed at is decorated in the Renaissance style just like the outside of the building. There is a basement to the north-east of the tower. 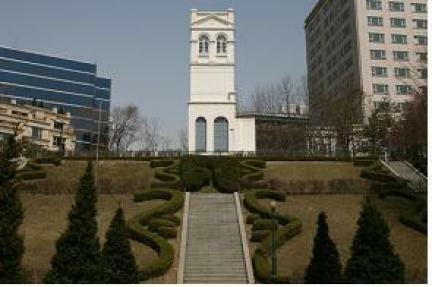 Only a part of it has been excavated, but it is said that this basement is connected to the present Deoksugung Palace. 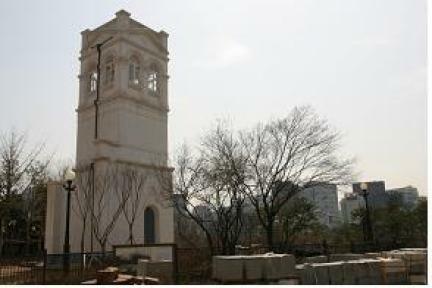 This structure is historically significant in that it shows something of how troubled the times were before Korea achieved independence.